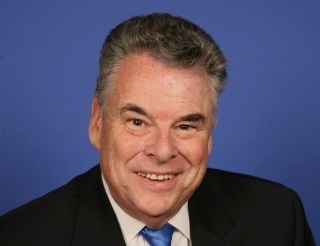 Congressman Peter T. King, a Republican, is serving his thirteenth term in the U.S. House of Representatives. Rep. King is a strong supporter of law enforcement, our military and has fought hard to bring veterans’ benefits into the 21st century. He has also received the AARP’s Legislative Leadership Award for combating elder abuse and exploitation.